Hubert loved horses and introduced our daughters to them as soon as we moved back to Cookeville. Our daughters, Julie and Jill, started riding before they could walk. Here they are on Buddy, Hubert's big 16 hand tall saddle horse. That's an old cavalry saddle they are sitting on. 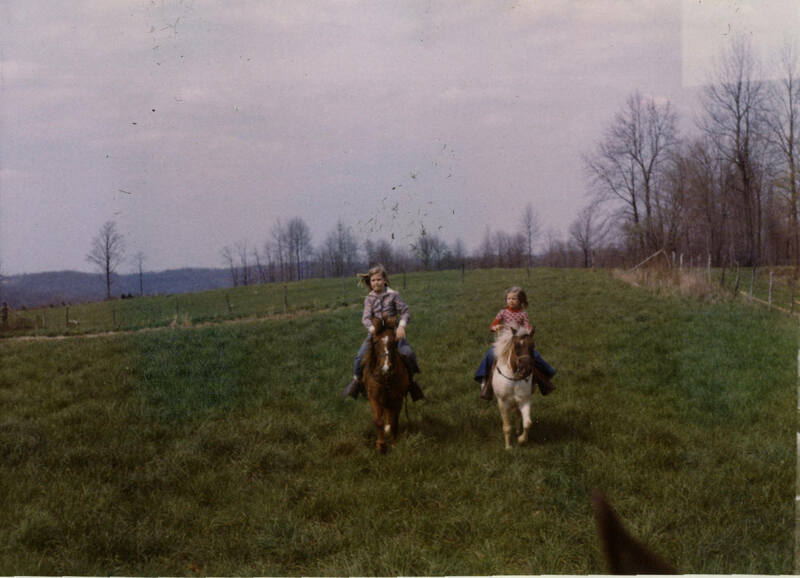 The picture below shows our daughters Julie and Jill riding their ponies across the same fields the Army National Guard rode across in the period between WWI and WWII on Hubert's farm. Eight more National Guard troopers from Cookeville’s 109th Cavalry have been called back home from Wilder this week. That leaves only eight there under the command of Capt. Hubert Crawford. They’re patrolling the railroad tracks and the town under the supervision of Sgt. Zina Mitchell. Wilder has been the scene of violence and upheaval in recent weeks in the wake of a strike by coal miners. Many arrests have been made by the troopers for fighting and drunkenness. Capt. Hubert Crawford is having his annual Easter egg hunt on his farm three miles east ofCookeville on the Knoxville Highway again this year. 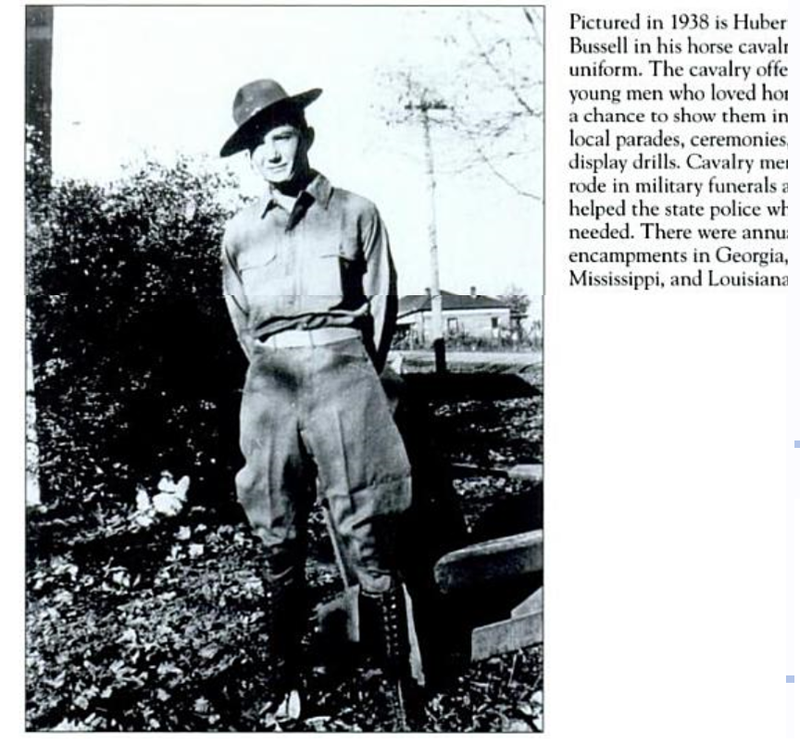 There’ll be dozens of boys and girls under the ageof 15 looking for eggs there near the Tennessee National Guard cavalry barn. It's going to be Family Day at Camp Forrest down in Tullahoma Sunday and Major Hubert Crawford this week invited all the friends and family of Putnam men, stationed there with the National Guard, to come on down and see them. 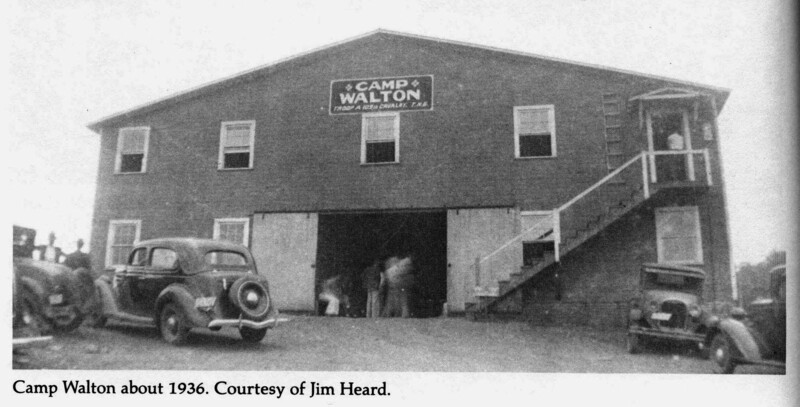 Crawford added, while they're coming, why not bring chairs, games, rugs, lamps and other items the men can use to fix up a recreation room at the Army Camp. The Cookeville National Guard unit was recently activated and, with training out of the way and more rigorous work still ahead, the young men have time on their hands, Crawford explained. Ernest "Shony" Douglas died this week. He was 56. 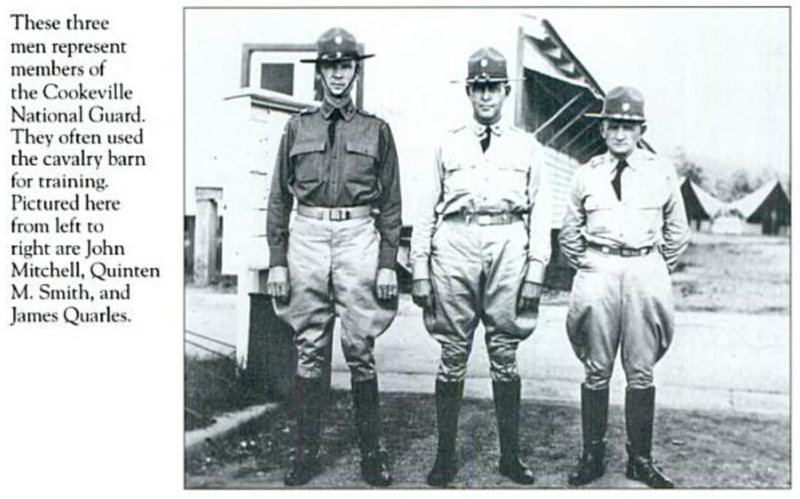 He came here in 1937 with the 109th Cavalry, a unit of black soldiers who were temporarily stationed at Cookeville’s cavalry barn when floods put their facilities in Arkansas under water. 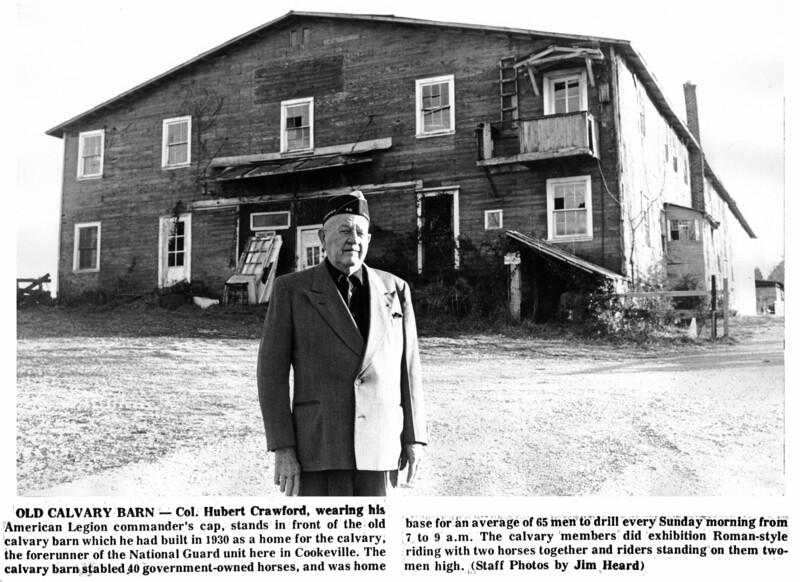 Edwards has lived with Col. And Mrs. Hubert Crawford for the past 14 years. He was widely known and had many friends here. He died of a heart attack in Cookeville General Hospital at noon at Feb. 19. The picture below is the original photo used in the above newspaper clipping. 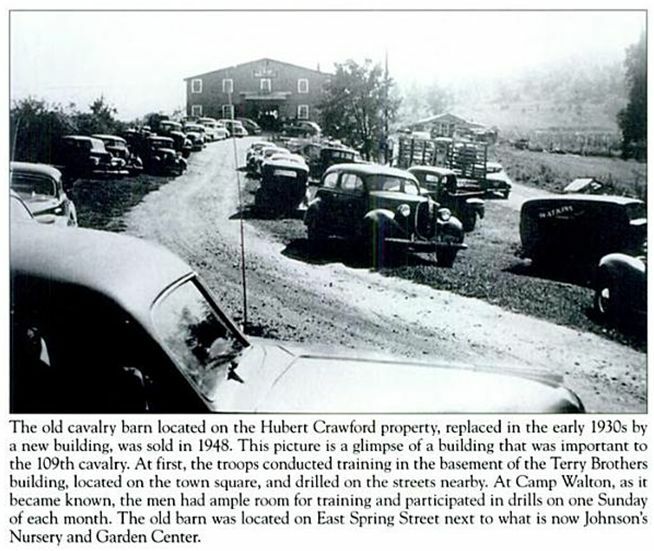 The above clipping says the cavalry barn was sold in 1948, but I know the barn was owned by Hubert until he died in on 8 April 1982. He left the property to his son, Will Glen Crawford, who lived next door on property Hubert gave him. 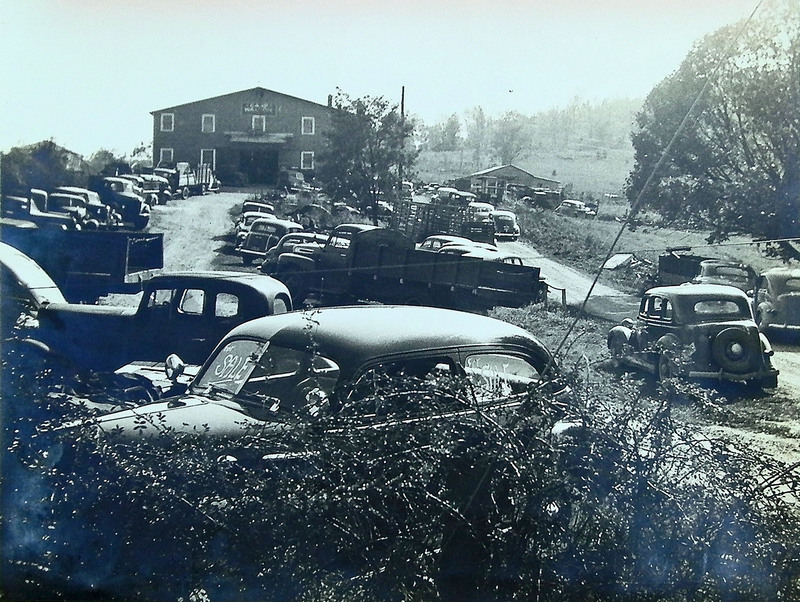 The old cars on the property belonged to Hubert's brother, Sam Crawford who died in 1964 and spent the last years of his life in a nursing home. The picture below was trimed in the above newspaper story.